Huge thanks go to all the RNWC staff who made the event possible and Bill and the other volunteers for providing rescue cover and mark laying assistance on the day. Further photos taken by the Fleet Photographic Unit are available on Facebook via the RN Dinghy Sailors page. 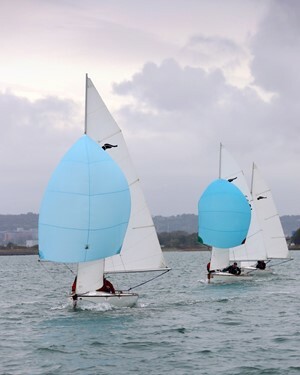 That’s it for RNSA(P) Dinghy Races this year but there’s always the RNWC Frostbite series throughout the winter and look out on the RNSA website for details of next season’s races. Look forward to seeing you all afloat!